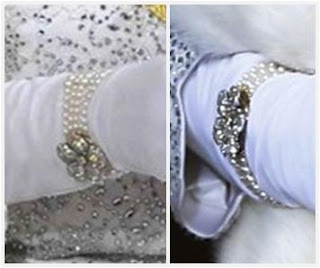 One of several pearl bracelets in The Queen's collection, Queen Mary's Pearl and Diamond Floral Bracelet has five strands of pearls in graduated sizes and a diamond clasp. The clasp is a diamond flower featuring five petals around a diamond center. Each petal has a large central diamond surrounded by several smaller diamonds to form a petal with curved dimension. 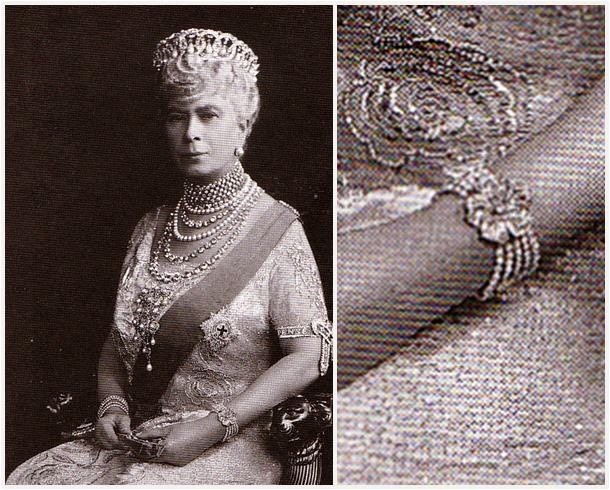 As the name indicates, this bracelet came from the collection of The Queen's grandmother, Queen Mary. 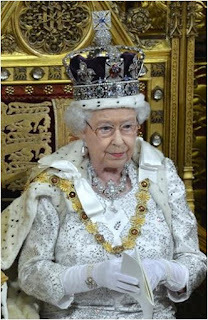 It is likely she inherited it with many of the rest of Queen Mary's personal jewels when Mary died in 1953. The bracelet is worn together with other pearl and diamond jewelry in the Queen's collection for formal occasions.